The following questions address the main three areas of dyslexia, physical disability and vision impairment. Q. I am dyslexic. What free technology is available to help me with spelling, writing and reading difficulties? A. There are a number of free utilities that may help such as using a clear font when typing e.g. Arial, Tahoma and Comic Sans rather than Times New Roman. Text aligned to the left is considered to be better for reading purposes rather than centred or justified text. Changing the background colour from white to a pastel shade can also make a huge difference to many people with dyslexia. The built-in spell checker in many word processors can be useful. Word prediction software can make an enormous difference. One free program is A.I.Type (www.aitype.com). As you begin to type a word, the program will help you complete the word from a list of words beginning with the letter/s you typed. This is really worth checking out. A free text-to-speech program that will read out text in your document, e-mails, etc is ReadPlease (www.readplease.com). WordWeb is another free program that will help when you need to look up words that you either do not understand or when you wish to find alternative equivalent words (synonyms). It is a one-click English thesaurus and dictionary that works in almost any program. To use it, hold the Control key down and right click your mouse over the word you wish to look up. To help you compose your written work, you should consider using speech recognition as it will allow you to get your words into the computer three times faster than an average touch typist and it never spells words wrongly. Windows Vista and Windows 7 have a free utility called “Windows Speech Recognition” which is certainly worth checking out. You will need a high-quality noise cancelling microphone to use this. This is a pre-requisite. Q. I am dyslexic and work in an office. What professional technology solutions are available for me? A. You should still take advantage of some of the free utilities mentioned above such as font type, background colour, text alignment and spellchecking in your word processor. 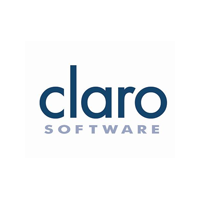 However, for text-to-speech solutions I would recommend either Text Help Read & Write or ClaroRead. 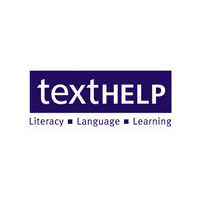 These programs have many utilities designed specifically to help people with dyslexia such as word prediction, advanced spellchecker, homophone checker, PDF reader, etc. Speech recognition Technology (the ability to speak to your computer or smart phone and see your words appear on the screen) has become much more prevalent and is readily available these days. Macs and Windows PCs have speech recognition built into their operating systems and it is free. These have improved a lot over the past number of years and can be very useful. However, for people with a disability of those wishing to use speech recognition in a professional environment I would recommend DragonDictate for Mac or Dragon NaturallySpeaking for the PC. One of the main advantages of Dragon for dyslexic users is that the program never spells words wrongly. 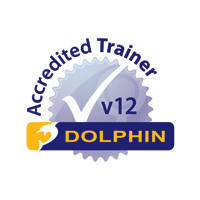 I would recommend that you seek training from an experienced and certified trainer in order to take full advantage of this powerful technology. 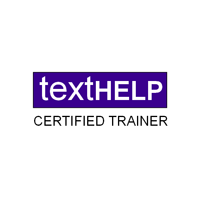 IT Your Way specialises in training on Dragon for PC and Mac and has helped hundreds of people over the years become expert users in home, work and educational settings. Q. My hand tremors making it difficult to hold my mouse steady. What can I do? A. There are a number of free utilities available to adjust how the pointer behaves on the screen within the accessibility features of Windows and Apple Mac computers. These are worth exploring before considering the purchase of an alternative pointing device such as a rollerball or joystick. You could also try adjusting your pointer motion speed or using the numeric keypad of your keyboard for driving the mouse pointer. Q. I am left-handed. Is it possible to get a mouse for left-handed users and swap the buttons around on the mouse for easier clicking? Q. Clicking the mouse is impossible for me or causes me pain. Is there a way of using the mouse without needing to click? A. Yes, it is possible with the use of a small free downloadable program that falls under the category of Mouse Dwell. The program allows you to hover the mouse over a small toolbar for a specified time to choose the next mouse action i.e. perform a left click, right click, double-click or dragging action. All you need to do is “drive” the pointer over the screen to the location you wish to “click”. The software does the rest. One free program worth looking at is: Dwell Clicker. Q. I have no use of my hands. What hands-free technology solutions are available to enable me to continue using the computer? Switch access. Switches come in all shapes, types and sizes to suit individual users. These can be activated by any part of the user’s body where they have consistent voluntary control e.g. foot, knee, elbow, shoulder, head, facial muscle, eyeblink, etc. With specialist software offering an on-screen keyboard with word prediction and computer-controlled utilities, the user can begin to command and control the computer very effectively and efficiently. Two software programs that I would recommend include The Grid 2 and Tobii Communicator. Head operated mouse control. A specialist infrared camera sits on top of the screen and follows a small reflective dot positioned on the user’s forehead, bridge of spectacles or tip of the nose. Through small head movements the user can control the mouse pointer on the screen and begin to type using an on-screen keyboard and perform clicking actions using mouse dwell software. Please see Tobii CDot Tracker or SmartNav for more information. Speech recognition computer control. 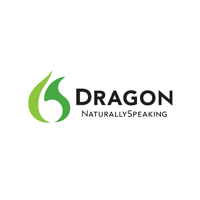 In order to give the user complete hands-free operation of the computer, including dictation, command and control, I recommend the use of Dragon NaturallySpeaking (the Premium or Professional versions but not the Home version). The user must have reasonably clear and consistent speech. 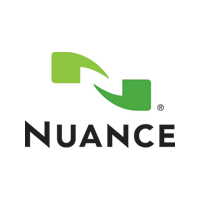 Please visit the Nuance website for further information. Mouth operated mouse control. The Integra Mouse is a highly sensitive mouse controlled entirely by the user’s mouth muscles. No software is required and typing is done with the assistance of an on-screen keyboard. Mouse clicks are performed through very slightly sipping or blowing into the mouthpiece. Eyegaze systems. Although the most expensive of the technology solutions listed here, Eyegaze systems offer people who are unable to control hand or head movements a vital way to communicate and control their computers. People with cerebral palsy, motor neurone disease, hemiplegia and spinal-cord injuries are among those who benefit from Eyegaze systems include Tobii C15, Tobii PCEye and C12 (portable devices for wheelchair mounting), Alea IntelliGaze. Q. I have a vision impairment and cannot see information on the screen very clearly. What technology is available to help me? For more information about how to make the above changes, please see the following BBC how-to guide I can’t see very well. Q. I am registered blind and have no usable vision. Can I still use my computer? A. Absolutely. Screen reading software has advanced text-to-speech technology offering blind users the ability to know exactly what’s happening on the screen by speaking where the active focus is, what line the cursor might be in a document or e-mail, what page on the Internet they are looking at, etc, etc. Commercial packages include Supernova and JAWS for Windows, among others. For more information please visit the BBC how-to guide Screenreaders and Talking Browsers. If you have any questions or would like any further information about any of the technologies mentioned above, please get in touch with Seamus on: 07762 849 700 or use the contact form.